VOTE: Who Should Lead The Ontario PCs? 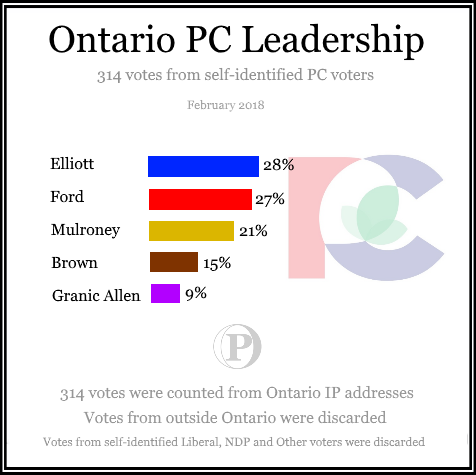 Who Should Be The New Leader Of The Ontario PCs? Only one vote per IP address were counted. Only votes from within Ontario were counted and multiple votes were automatically discarded.